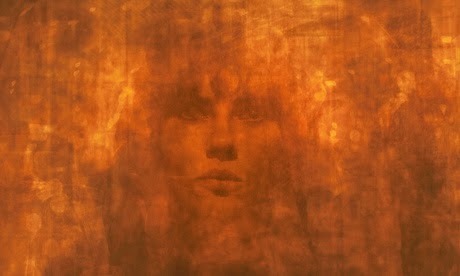 Screening Notes: What Is Under the Skin, and Why Is It Important? 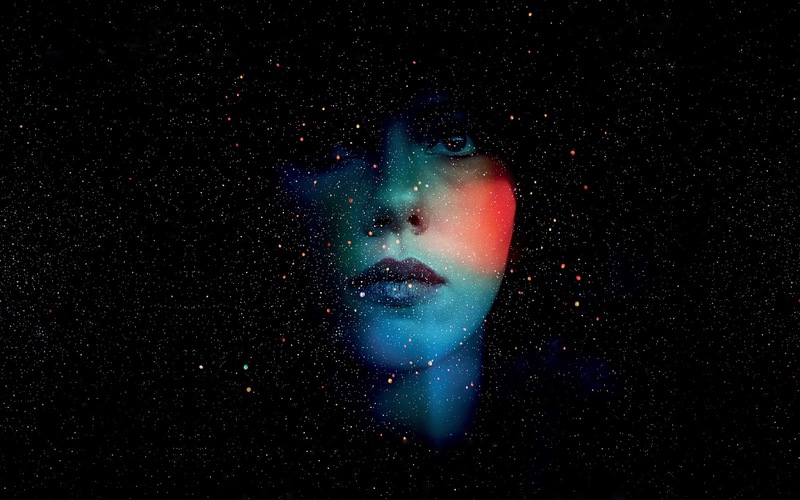 Under the Skin (2013) is a science fiction film which took British filmmaker Johnathan Glazer four years to make, and it is the most exciting cinematic experience I've had so far in 2014. It is a high concept film shot in large part with hidden cameras recording unsuspecting nonactors (who afterward had to give their consent) in order to attempt to create an authentic portrait of humanity. It's also an art house film, and as such refrains entirely from anything which might help the audience along at the expense of artistic vision (eg. expository dialogue), and in combination with its slow, atmospheric focus it is somewhat impenetrable despite its rather simple plot. In fact, Under the Skin is so narratively nondescript that you may come away from it not understanding what happened at all. So in order to make sure we're all on the same page, I've written up a simple explanation of as much of the plot as I can get into without breaching major spoiler territory. That said, this is the type of movie that will have the strongest impact if you go into it completely blind, so if you're at all interested in it then go out and watch it before reading any farther. It's probably left most theaters by now, but I know it's available on Redbox. The central core of the story follows an alien invader (Scarlett Johansson) sent to Earth to prey on the men of Scotland. Alone in a van, Johansson wears an incredibly vacant stare indicative of the incongruity between her appearance and the reality which lies beneath. However, when she picks a target she becomes friendly and even effusive, smilingly inquiring into her guests' personal life. She is a predatory chameleon. But as she captures more men, the camera lingers longer on her face and her searching gaze: she is beginning to sympathize with her victims. She sees their determination and love in one man's doomed attempts to rescue his drowning dog; their fear and alienation in another's isolated late-night trips to the grocery store. Finally, she decides to give up her duty harvesting human bodies, but her newfound empathy won't protect her from the dangers she will face by herself. I have had a difficult time articulating my thoughts about this movie, and even after a second viewing it still perplexes me. It is simultaneously dense and impenetrable on the one hand and lightweight and insubstantial on the other. It attempts to reach toward complex ideas about humanity and how we relate to other people, but at the same time very little happens and very few people relate to each other. It is beautiful in its minimalism, emotional in its abstraction, and intelligent in its vacuity. It is nothing if not an enigma, and if I know nothing else for certain I know that I love enigmatic science fiction. There are a few objective things which I can say for certain about my affection this movie. The opening sequence (pictured above) is simply brilliant. 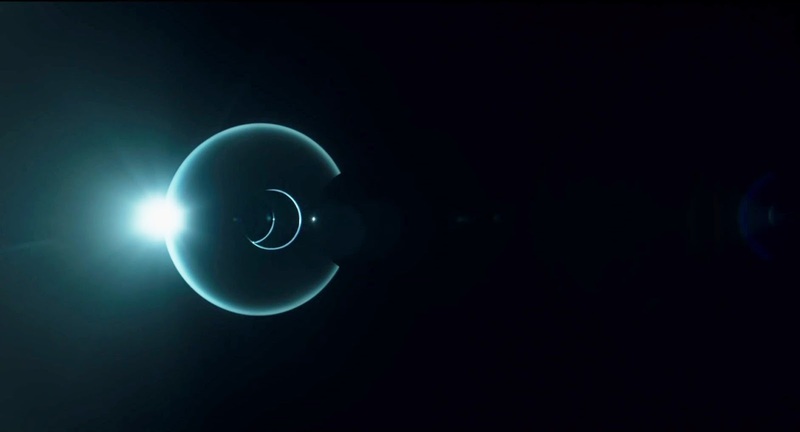 It is the birth of an alien species which distinctly recalls both the stark simplicity of 2001: A Space Odyssey's visual style as well as the mysterious starchild on which the film ends. It is also an alien invasion the likes of which we have never seen before. It is a piece of abstract art, and although it calls on other sources for reference, it puts them together in totally new ways. The soundtrack is also absolutely perfect. It is unsettling enough to communicate the ominous threat of this vacant-eyed invader before we see her intentions, but diverse enough to turn the tables when that threat is pointed the other direction. It is creative and unlike anything I've heard outside a Paul Thomas Anderson movie. Beyond that, my reasons for loving Under the Skin become less concrete. Like Blade Runner, it focuses on ideas more than plot or character. It plays out the conflicts inherent to human desire by juxtaposing its central alien predator with her own hunters. Is gives us a unique perspective into humanity through the eyes of a progressively empathetic outsider. And like Invasion of the Body Snatchers, it asks the question of what is under the skin, what is beyond our perception? Through Johansson's character and Glazer's hidden cameras, it shows us what we look like from the outside and asks if what's underneath can justify the evil on the surface. It leaves many of the questions it raises unanswered, which will inevitably disappoint many viewers, but as my fellow critic Jonathan White said, "the questions are what it's all about. While the questions here aren't as grand in scope as the masterclass sci-fi's, they certainly are asked with the same skill." Perhaps more than anything else, I love this movie because I can't describe it without touching on the all-time greatest entries in science fiction film history. It might not be perfect, but it's exciting to see this much artistry, enthusiasm, and innovation on screen. Sounds interesting. I'm intrigued, though I'll have to wait for the DVD. I have the book, but I just haven't read it yet. Just the idea of the movie makes me want to read the book first. I would say this isn't the type of movie where you need to read the book first since it's so focused on its cinematic aspects (visual composition, production style, etc.) and from what I've heard Glazer departs from the novel a bit, but it never hurts to check it out as long as you keep an open mind.